SOUTHERN UTAH – Competing in an Ironman seems to be a task that often makes it on the bucket list. Madalyn Jones, former collegiate runner and new mother is hoping to check the St. George Ironman 70.3 off her list – only two months after giving birth to her new son. Triathlons are fairly new to Jones, but she is no stranger in the running community. 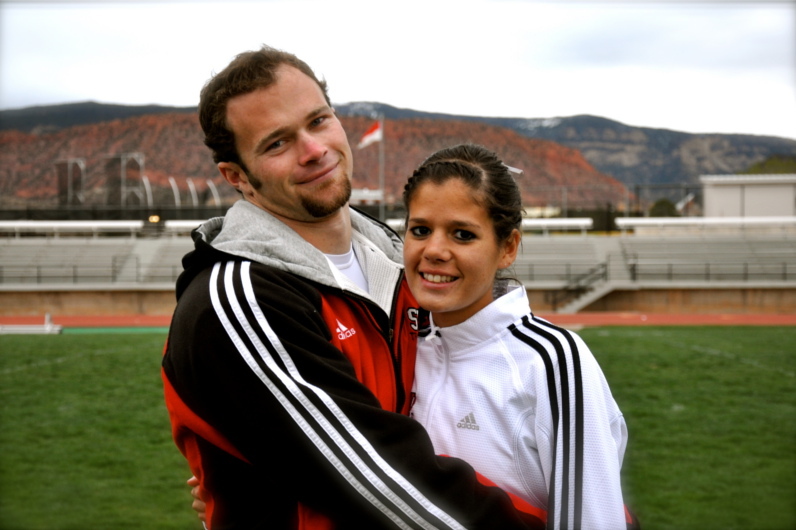 Originally from Heber City, Jones made her way to Cedar City to run cross-country and track at Southern Utah University. She was a great asset to the team as a two-time all-conference athlete. 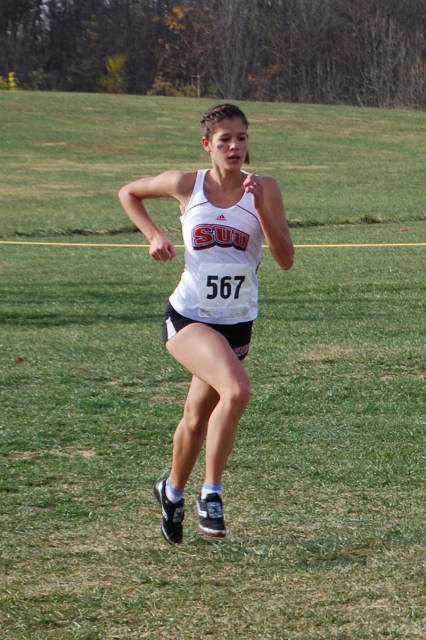 After collegiate running, Jones prepared for the 2012 St. George Marathon. She finished her first marathon in 3 hours, 6 minutes, good enough for 38th place in the women’s overall. After years of running, Jones started to make the transition to triathlons. Jones has only competed in sprint triathlons, a total distance of only 15.57 miles. She signed up for the Ironman 70.3 in June 2013, she said, in July 2013 she found out she was pregnant. She contacted the race director and asked if her registration could be moved to the following year, Jones said, unfortunately this arrangement could not be made. Jones received support and motivation from her husband to still compete. During pregnancy, Jones continued training to stay in shape. “I kept running, I was swimming, I was biking – obviously not at the intensity I was before, but I was still doing it,” Jones said. On March 10, the Jones family had a new addition with the birth of their baby boy. “My doctor said, don’t train for six weeks, so I haven’t been training for six weeks, just going on walks, ” Jones said. The only goal in mind is to finish and say that she has competed in an Ironman70.3, she said. “I think it’s going to come down to mental: if I can handle it and if I can stay into it,” Jones said. She has since started her normal training schedule, and has been given approval from her doctor to compete. With her strong running background and family support, Jones hopes to reach her goal of becoming an Ironman. I was very close to Madalyn growing up and I’m so very proud of her and all she has done to get to this point! She is a wonderful person with a strong will to choose what’s best for herself and her family. Way to go! !